Safe Haven: Temporary refuge given to migrants who have fled their countries of origin to seek protection or relief from persecution or other hardships, until they can return to their countries safely or, if necessary until they can obtain permanent relief from the conditions they fled. Service Centers: Four offices established to handle the filing, data entry, and adjudication of certain applications for immigration services and benefits. The applications are mailed to USCIS Service Centers -- Service Centers are not staffed to receive walk-in applications or questions. Special Agricultural Workers (SAW): Aliens who performed labor in perishable agricultural commodities for a specified period of time and were admitted for temporary and then permanent residence under a provision of the Immigration Reform and Control Act of 1986. Up to 350,000 aliens who worked at least 90 days in each of the 3 years preceding May 1, 1986 were eligible for Group I temporary resident status. Eligible aliens who qualified under this requirement but applied after the 350,000 limit was met and aliens who performed labor in perishable agricultural commodities for at least 90 days during the year ending May 1, 1986 were eligible for Group II temporary resident status. Adjustment to permanent resident status is essentially automatic for both groups; however, aliens in Group I were eligible on December 1, 1989 and those in Group II were eligible one year later on December 1, 1990. Special Immigrants: Certain categories of immigrants who were exempt from numerical limitation before fiscal year 1992 and subject to limitation under the employment-based fourth preference beginning in 1992; persons who lost citizenship by marriage; persons who lost citizenship by serving in foreign armed forces; ministers of religion and other religious workers, their spouses and children; certain employees and former employees of the U.S. Government abroad, their spouses and children; Panama Canal Act immigrants; certain foreign medical school graduates, their spouses and children; certain retired employees of international organizations, their spouses and children; juvenile court dependents; and certain aliens serving in the U.S. Armed Forces, their spouses and children. Special Naturalization Provisions: Provisions covering special classes of persons whom may be naturalized even though they do not meet all the general requirements for naturalization. Such special provisions allow: 1) wives or husbands of U.S. citizens to file for naturalization after three years of lawful permanent residence instead of the prescribed five years; 2) a surviving spouse of a U.S. citizen who served in the armed forces to file his or her naturalization application in any district instead of where he/she resides; and 3) children of U.S. citizen parents to be naturalized without meeting certain requirements or taking the oath, if too young to understand the meaning. 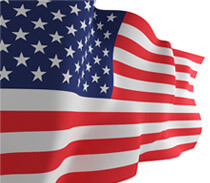 Other classes of persons who may qualify for special consideration are former U.S. citizens, servicemen, seamen, and employees of organizations promoting U.S. interests abroad. Sponsor: There are many ways to sponsor an alien. The term "sponsor" in the immigration sense, often means to bring to the United States or "petition for". If you would like to sponsor, or petition for, a relative, please read the information entitled "Immigration Through a Family Member" If you would like to sponsor, or petition for, an employee, please see the instructions entitled "How Do I Get Immigrant Status Based on Employment?" If you would like to sponsor, or petition for, an overseas orphan, please refer to the information entitled "How do I bring an orphan to the United States to live?" If you are a refugee or an asylee and wish to sponsor, or petition for a relative, please refer to the document entitled "How Do I Get my Children or Spouse Derivative Asylum (or Refugee) Status?" The relative has been scheduled to appear to submit his or her application for an immigrant visa overseas to a Consular Officer (DOS Form OF-230) or is preparing to file for adjustment of status to that of a lawful permanent resident (on Form I-485, Application to Register Permanent Residence or Adjust Status) in the United States. In the case of the overseas relative, you, the petitioner will be informed as to where and when to submit Form I-864. In the case where the relative is in the United States, you, the petitioner will complete Form I-864 and give it to your relative to file along with his or her application for permanent residency. Stowaway: An alien coming to the United States surreptitiously on an airplane or vessel without legal status of admission. Such an alien is subject to denial of formal admission and return to the point of embarkation by the transportation carrier. Student: As a nonimmigrant class of admission, an alien coming temporarily to the United States to pursue a full course of study in an approved program in either an academic (college, university, seminary, conservatory, academic high school, elementary school, other institution, or language training program) or a vocational or other recognized nonacademic institution. Subject to the Numerical Limit: Categories of legal immigrants subject to annual limits under the provisions of the flexible numerical limit of 675,000 set by the Immigration Act of 1990. The largest categories are: family-sponsored preferences; employment-based preferences; and diversity immigrants.